2019 Stay Local Boat MA Transient Boater Referral Discount Program! Please do not delay! The enrollment deadline is May 1st. The sooner we hear from you, the sooner your business gets promoted. 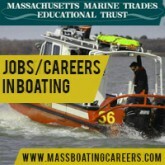 Enroll online at www.staylocalboatma.com. If you are new to the Stay Local Boat Ma program please email a .jpeg of your logo and all program contact information to Randall@boatma.com and any questions as well.